Here we go again. 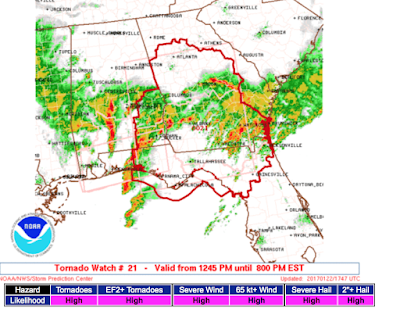 Particularly Dangerous Situation Tornado Watches are rare and they command respect. 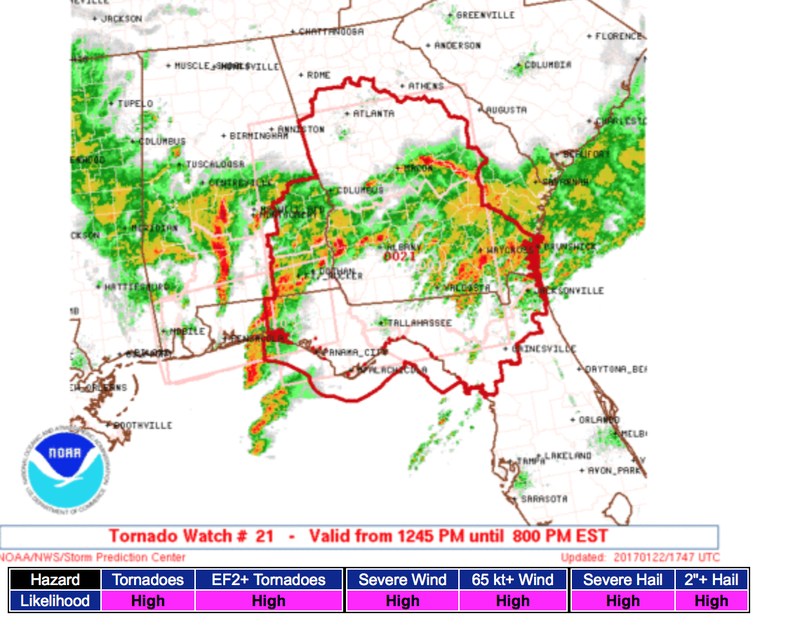 If you live in the watch area and it is safe to do so (no thunderstorms in the immediate area), prepare now. Note that this includes Atlanta where the Packers-Falcons game is going to be played. It also includes Jacksonville and Tallahassee. Note there is a "high" risk of violent tornadoes along with thunderstorm winds of more than 75 mph ("65+knots"). Please scroll down for preparatory suggestions for this dangerous situation.